"really pleased. lightweight, good fit, wind/waterproof. quality item." 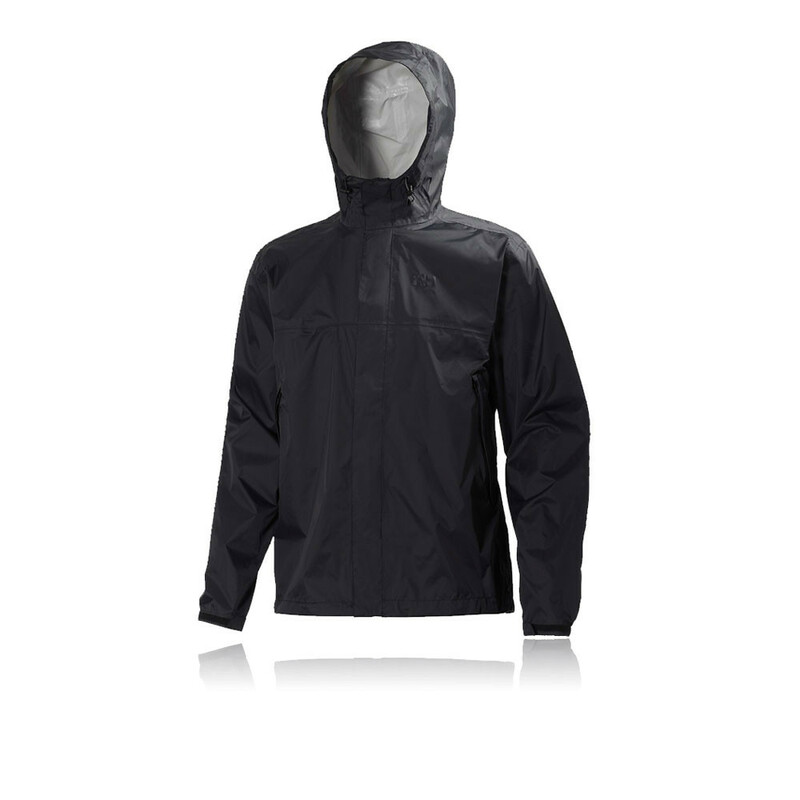 "really pleased with this purchase"
Despite its fully wind and waterproof construction, the Helly Hansen Loke Running and Outdoor Jacket retains an excellent degree of breathability, keeping the wearer dry, temperate and comfortable. A HELLY TECH® Performance membrane combines taped seams and a 2.5 ply material to deliver comprehensive, lightweight protection from inclement weather. A DWR (Durable Water Repellency) treatment ensures that this resilience to the elements does not diminish over time. Additionally, anatomically positioned air vents intelligently regulate temperature at critical heat zones. Zipped hand pockets offer your hands a cosy refuge on chilly occasions, as well as a convenient storage space for small items such as keys, coins or media devices. Drawcords encircle both the hood and bottom hem whilst Velcro surrounds the cuffs, enabling the wearer to dictate the jacket's fit from to to bottom. Drawcords - Encircle the hood and bottom hem, allowing for complete adjustability. Velcro Adjustable Cuffs - Allow the wearer to dictate the jacket's fit around the wrists.